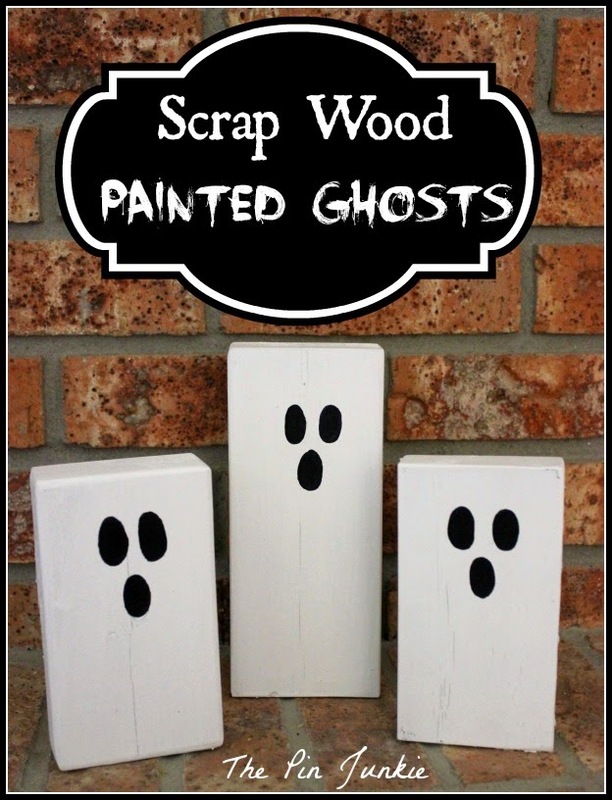 When it comes to Halloween decorations, I prefer cute over gory and cute decorations don't get any easier than these Halloween scrap wood painted ghosts! I had some scrap wood leftover from previous projects and since I never like to throw anything away, I decided to make some cute little ghosts. I used different lengths of 2x4 pieces, but the measurements don't really matter. You can make your ghosts as tall, short, or as wide as you'd like. Just make sure you have straight cuts so that your ghosts are level and stand up straight. I started by sanding the pieces of wood and painting them with primer. When the primer was dry, I gave them a coat of white paint. When that was dry, I painted some black ovals for the eyes and mouths. It's so easy it's scary! 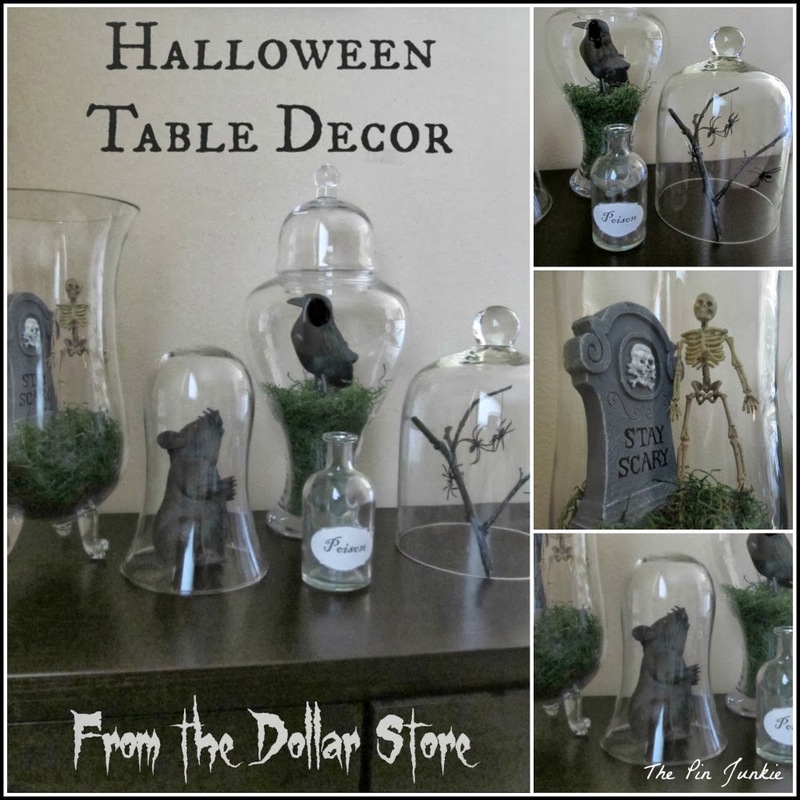 More fun and easy Halloween decorating ideas! Inspired by this pin and this pin for painted wood decorations. Cute and easy! Pinning this fun idea! What a great idea. Even leave them up all year for decoration! Well, maybe not ghosts, but something else on the back! I like decorating, but hate taking it all down and putting it away! followed you from Masterpiece linky! I love your idea of painting something on the back so they can be used for multiple holidays! I wish I had thought of that smart idea! Cute idea for all those extra scraps! SO cute and easy! We have a ton of wood scraps leftover from our remodel this summer! Good use for them! Pinning! These are great. I am stopping by from Kathe with E link party. 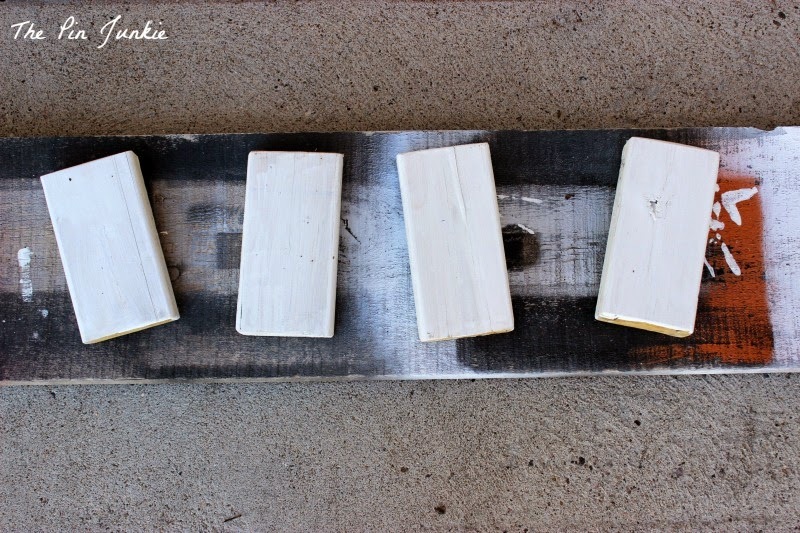 I have tons of wood scraps - I love this idea to use them with ! Love your ghosts and something the little ones can help make. Thank you for sharing with the Clever Chicks Blog Hop! I hope you’ll join us again next week! Fun and Easy!! I love it. Pinned. Thanks for the feature Jill! Those are so cute! What a great way to use up some scraps!!! This mis so easy and cute! Stopping by from the Creative Style Link up and I am glad I checked your posts. In fact I am starting a series of posts about Halloween projects and I would love to feature your as well. This would be such a fun project for kids! Thanks for sharing with SYC. I do hope you will share your ghosts with my Big Autumn Bash Link Party! Thanks for the invitation Mila! Hey Bonnie, love them! I've featured your post on Worthwhile Wednesdays! We go live tonight at 8pm! Thanks for the feature Allie! I appreciate it! I just cant get enough of scrap wood projects. They're such easy, cheap, and CUTE decorations! These are so cute. Simple but high impact. Featuring when my party opens up tonight! So cute. I'm with you on preferring cute to scary for Hallowe'en.